By seven o'clock on the morning of 16th April 1746, the Highland army of Prince Charles Edward Stuart had assembled on Drummossie Moor, near Inverness. They had responded to the call of the pipes and were waiting for the beginning of what was to be the last battle ever fought on Scottish soil. Everything seemed to be against them. They were exhausted after a failed attempt to attack the Royal troops by night at Nairn. The Highlanders were hungry, the supply train having failed to provide food to the army for two days. But perhaps the worst of it was the field of battle itself. Prince Charles had chosen Drummossie Moor to fight but Lord George Murray was dead-set against it. The ground was flat and suited to regular troops and cavalry. The rebels had no real cavalry to speak of and the strength of the Highlanders lay in a downhill charge, not in exchanging volleys with regular troops. So the scene was set for one of the biggest mistakes ever made on a battlefield. These were very real concerns for the Scottish Jacobite general who was born at Huntingtower, near Perth, on the 4th of October 1694. His background were the issues that made it clear to him that the Standard, which was planted in Glenfinnann in 1745, was his to follow. He said himself: “My life, my fortune, my expectations, the happiness of my wife and children, are all at stake (and the changes are against me), and yet my duty to Scotland in which my Honour is too deeply to withdraw, this matter of principles outweighs everything”. He joined the army in Flanders in June 1712; in 1715, contrary to their father's wishes, he and his brothers, the marquis of Tullibardine and Lord Charles Murray, joined the Jacobite rebels under the earl of Mar, each brother commanding a regiment of men of Atholl. Lord Charles was taken prisoner at Preston, but after the collapse of the rising Lord George escaped with Tullibardine to South Uist, and thence to France. In 1719 Murray took part in the Jacobite attempt in conjunction with the Spaniards in the western highlands, under the command of Tullibardine and the earl marichal, which terminated in "the affair of Glenshiel" on the 10th of June, when he was wounded while commanding the right wing of the Jacobites. After hiding for some months in the highlands he reached Rotterdam in May 1720. There is no evidence for the statement that Murray served in the Sardinian army, and little is known of his life on the continent till 1724, when he returned to Scotland, where in the following year he was granted a pardon. The duke of Atholl died in 1724 and was succeeded in the title by his second son James, owing to the attainder of Tullibardine; and Lord George leased from his brother the old family property of Tullibardine in Strathearn, where he lived till 1745. On the eve of the Jacobite rising of 1745 the duke of Perth made overtures to Lord George Murray on behalf of the Pretender; but even after the landing of Charles Edward in Scotland in July, accompanied by Tullibardine, Murray's attitude remained doubtful. He accompanied his brother the duke to Crieff on the 21st of August to pay his respects to Sir John Cope, the commander of the government troops, and he permitted the duke to appoint him deputy-sheriff of Perthshire. It has been suggested that Murray acted with duplicity, but his hesitation was natural and genuine; and it was not till early in September, when Charles Edward was at Blair Castle, which had been vacated by the duke of Atholl on the prince's approach, that Murray decided to espouse the Stuart cause. He then wrote to his brother explaining that he did so for conscientious reasons, while realizing the risk of ruin it involved. On joining the Jacobite army Lord George received a commission as lieutenant-general, though the prince ostentatiously treated him with want of confidence; and he was flouted by the Irish adventurers who were the Pretender's trusted advisers. At Perth Lord George exerted himself with success to introduce discipline and organization in the army he was to command, and he gained the confidence of the highland levies, with whose habits and methods of fighting he was familiar. He also used his influence to prevent the exactions and arbitrary interference with civil rights which Charles was too ready to sanction on the advice of others. At Prestonpans, on the 21st of September, Lord George, who led the Jacobite left wing in person, was practically commander-in-chief, and it was to his able generalship that the victory was mainly due. During the six weeks' occupation of Edinburgh he did useful work in the further organization and disciplining of the army. He opposed Charles's plan of invading England, and when his judgment was overruled he prevailed on the prince to march into Cumberland, which he knew to be favourable ground for highlander tactics, instead of advancing against General Wade, whose army was posted at Newcastle. He conducted the siege of Carlisle, but on the surrender of the town on the 14th of November he resigned his command on the ground that his authority had been insufficiently upheld by the prince, and he obtained permission to serve as a volunteer in the ranks of the Atholl levies. The dissatisfaction, however, of the army with the appointment of the duke of Perth to succeed him compelled Charles to reinstate Murray, who accordingly commanded the Jacobites in the march to Derby. Here on the 5th of December a council was held at which Murray urged the necessity for retreat, owing to the failure of the English Jacobites to support the invasion and the absence of aid from France. "had Prince Charles slept during the whole of the expedition, and allowed Lord George Murray to act for him according to his own judgment, he would have found the crown of Great Britain on his head when he awoke." incapacity and petulance of the Pretender. By a skilfully fought rearguard action at Clifton Moor, Lord George enabled the army to reach Carlisle safely and without loss of stores or war material; and on the 3rd of January 1746 the force entered Stirling, where they were joined by reinforcements from Perth. The prince laid siege to Stirling Castle, while Murray defeated General Hawley near Falkirk; but the losses of the Jacobites by sickness and desertion, and the approach of Cumberland, made retreat to the Highlands an immediate necessity, in which the prince was compelled to acquiesce; his resentment was such that he gave ear to groundless suggestions that Murray was a traitor, which the latter's failure to capture his brother's stronghold of Blair Castle did nothing to refute. In April 1746 the Jacobite army was in the neighbourhood of Inverness, and the prince decided to give battle to the duke of Cumberland. Charles took up a position on the left bank of the Nairn river at Culloden Moor, rejecting Lord George's Murray advice to select a much stronger position on the opposite bank. 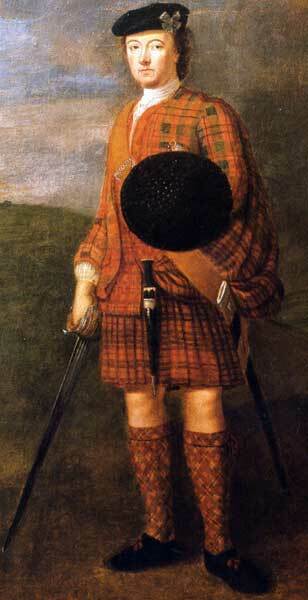 The battle of Culloden, where the Stuart cause was ruined, was fought on the 16th of April 1746. On the following day the duke of Cumberland intimated to his troops that "the public orders of the rebels yesterday was to give us no quarter"; Hanoverian news-sheets printed what purported to be copies of such an order, and the historian James Ray and other contemporary writers gave further currency to a calumny that has been repeated by modern authorities. Original copies of Lord George Murray's "orders at Culloden" are in existence, one of which is among Cumberland's own papers, while another was in the possession of Lord Hardwicke, the judge who tried the Jacobite peers in 1746, and they contain no injunction to refuse quarter. After the defeat Murray conducted a remnant of the Jacobite army to Ruthven, and prepared to organize further resistance. Prince Charles, however, had determined to abandon the enterprise, and at Ruthven Lord George received an order dismissing him from the prince's service, to which he replied in a letter upbraiding Charles for his distrust and mismanagement. Charles's belief in the general's treachery was shared by several leading Jacobites, but there appears no ground for the suspicion. From the moment he threw in his lot with the exiled prince's cause Lord George Murray never deviated in his loyalty and devotion, and his generalship was deserving of the highest praise; but the discipline he enforced and jealousy of his authority made enemies of some of those to whom Charles was more inclined to listen than to the general who gave him sound but unwelcome advice. Murray escaped to the continent in December 1746, and was graciously received in Rome by the Old Pretender, who granted him a pension; but in the following year when he went to Paris Charles Edward refused to see him. Lord George lived at various places abroad until his death, which occurred at Medemblik in Holland on the 11th of October 1760. 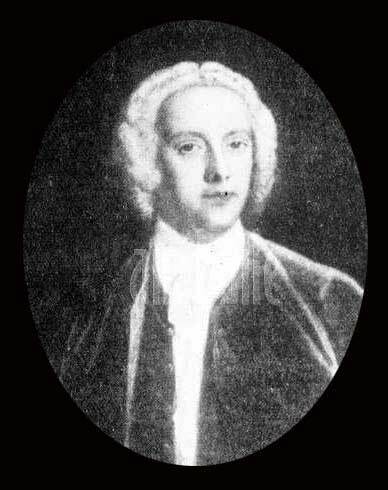 He married in 1728 Amelia, daughter and heiress of James Murray of Strowan and Glencarse, by whom he had three sons and two daughters. His eldest son John became 3rd duke of Atholl in 1764; the two younger sons became lieutenant-general and vice-admiral respectively in the British service. May it please your Royal Highness, - As no person in these kingdomes ventured more franckly in the the cause than myself and as I had more at stake than all the others put together, so to be sure I cannot but be very deeply affected with our late loss and present situation, but I declare that were your R.H. person in safety, the loss of the cause and the misfortunate and unhappy situation of my countrymen is the only thing that grieves me, for I thank god, I have resolution to bear my own and family ruine without a grudge. Sr, you will I hope upon this occasion pardon me if I mention a few truths which all the Gentlemen of our army seem convinced of. It was highly wrong to have set up the royal standard without having positive assurance from his most Christian majesty that he would assist you with all his force, and as your royal family lost the crown of these realms upon the account of France, The world did and had reason to expect that France would seize the first favourable opportunity to restore your August family. I must also acquaint your R.H. that we were all fully convinced that Mr O' Sullivan whom your R.H. trusted with the most essential things with regard to your operations was exceedingly unfit for it and committed gross blunders on every occasion of moment: He whose business it was, did not so much as visit the ground where we were drawn up in line of Battle, and it was a fatal error yesterday to allow the enemy those walls upon their left which made it impossible for us to break them, and they with their front fire and flanking us when we went upon the attack destroyed us without any possibility of our breaking them, and our Atholl men lost a full half of their officers and men. I wish Mr O'Sullivan had never got any other charge in the Army than care of the Bagage which I have been told he has been brought up to and understood. I never saw him in time of Action neither at Gladsmuir, Falkirk nor in the last, and his orders were vastly confused. 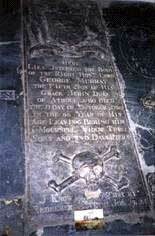 The want of provisions was another misfortune which had the most fatal consequence. Mr Hay whom Y.R.H. trusted with the principal direction of ordering provisions of late and without whose orders a boll of meal or forthing of monie was not to be delivered, has served Y.R.H. egregiously ill, when I spoke to him, he told me, the thing is ordered, it will be got etc. but he neglected his duty to such a degree that our ruin might probably been prevented had he done his duty: in short the last three days which were critical our army starved. This was the reason our night march was rendered abortive when we possibly might have surprised and defeat the enemy at Nairn, but for want of provisions a third of the army scattered to Inverness he and the others who marched had not the spirits to make it quick as was necessary being faint for want of provisions. The next day, which was the fatal day, if we had got plenty of provisions, we might have crossed the water of Nairn and drawn up so advantageously that we would have obliged the enemy to come to us, for they were resolved to fight at all hazards, at prodigious disadvantage, and probably we would in that case have done by them as they unhappily have done by us. In short Mr O'Sullivan and Mr hay had rendered themselves odious to all our army and had disgusted them to such a degree that they had bred a mutiny in all ranks that had the battle (not) come on they were to have represented their grievance to Y.R.H. for a remedy. For my own part I never had any particular discussion with either of them, but I ever thought them incapable and unfit to serve in the stations they were placed in. Y.R.H. knows I always told I had no design to continue in the army: I would of late when I came last from Atholl have resigned my commission, but all my friends told me it might be of prejudice to the cause at such a critical time. I hope your R.H. will now accept my demission. What commands you have for me in any other situation please honour me with them.